2. We verify your business license within 24 hours and approve your account. 3. You shop our vast inventory of e-cig products at the most competitive prices. one-stop-shop for all of your business's e-cigarette needs. Midwest Distribution is conveniently located in Illinois where we can ship nationwide easily. We are a top Electronic Cigarette Distributor in the United States carrying vape products, accessories, e-liquids, and hardware from the top names in the industry. Kanger, Aspire, ELeaf, UWell, Horizon Tech, Space Jam, Cuttwood, VapeGem, Ruthless and many more. 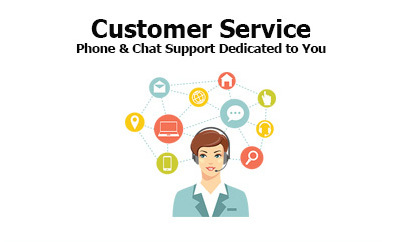 Our experienced customer service representatives will work with you to make sure you get the products your customers demand at the prices you need. We have many channels of communication open from chat to phone lines and we are always striving to improve. The ordering process is so easy - we are many steps ahead of our competitors. © Midwest Distribution Illinois Division Of Midwest Goods Inc Responsive Theme All Rights Reserved. NOT FOR SALE TO MINORS | CALIFORNIA PROPOSITION 65 - Warning: This product contains nicotine, a chemical known to the state of California to cause birth defects or other reproductive harm. Midwest Goods products are not smoking cessation products and have not been evaluated by the Food and Drug Administration, nor are they intended to treat, prevent or cure any disease or condition. KEEP OUT OF REACH OF CHILDREN AND PETS. All product names, trademarks and images are the property of their respective owners, which are in no way associated or affiliated with Midwest Goods Inc. Product names and images are used solely for the purpose of identifying the specific products. Use of these names does not imply any co-operation or endorsement. Welcome to Midwest Distribution the fastest growing distributor of e-cigarette products in the nation. By entering this site you are stating that you are of legal age to purchase, handle, and own electronic cigarettes and vaping products. Use at your own risk. Please verify that you are 21 years of age or older.